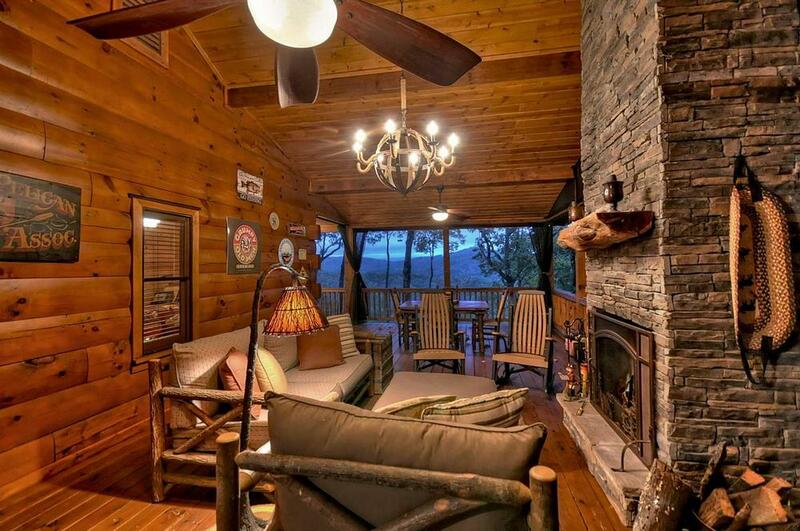 If you dream of a private place to escape from the pace and stress of daily life, the answer to your prayers is the North Georgia mountain cabin rental called Treehouse Retreat. True to its name, this cozy lodge is nestled in the woods on the edge of the National Forest in a canopy of trees. 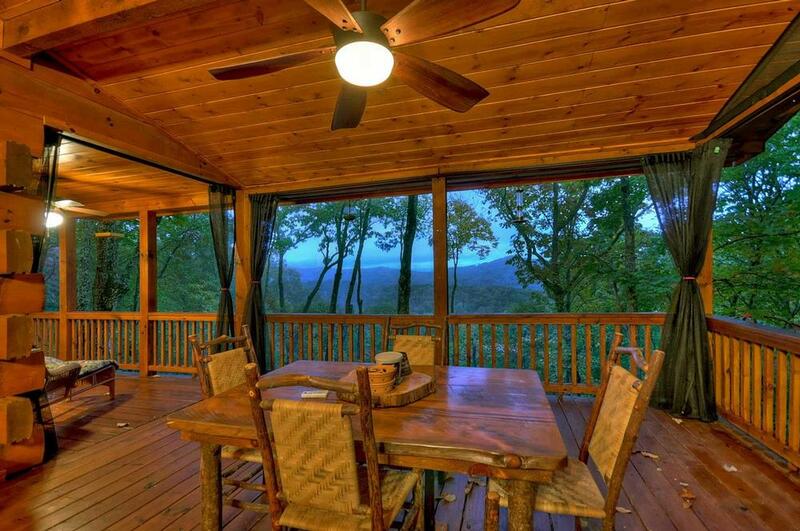 Step outside on the wraparound deck to take in the breathtaking mountain vistas and you'll feel like you're in a treehouse! 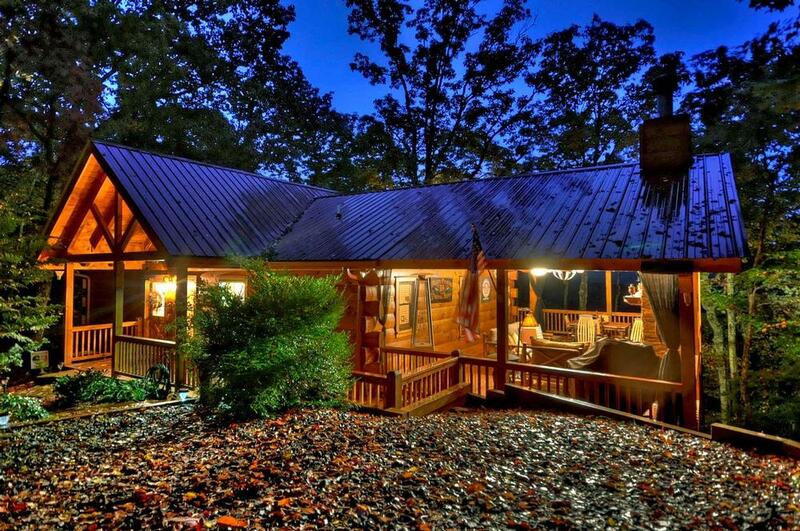 Private, secluded, and quiet, the property is just three miles from downtown Blue Ridge and its shops, restaurants and nightlife and close to all the outdoor activities the Aska Adventure Area has to offer, from hiking to boating, fishing and rafting. Wood-paneled floor to ceiling with in warm earth tones and rustic decor, the two-bedroom cabin is cozy and inviting, perfect for a couples getaway, a weekend with the guys or girls, or a small family—you can bring your dog along too! The master bedroom has a king bed, TV and private bath with a tub and shower, and the second bathroom has twin beds that can be pushed together. Add the full-size sleeper sofa in the living room and the cabin can accommodate six guests. There's a washer/dryer and a second full bath on the main level. 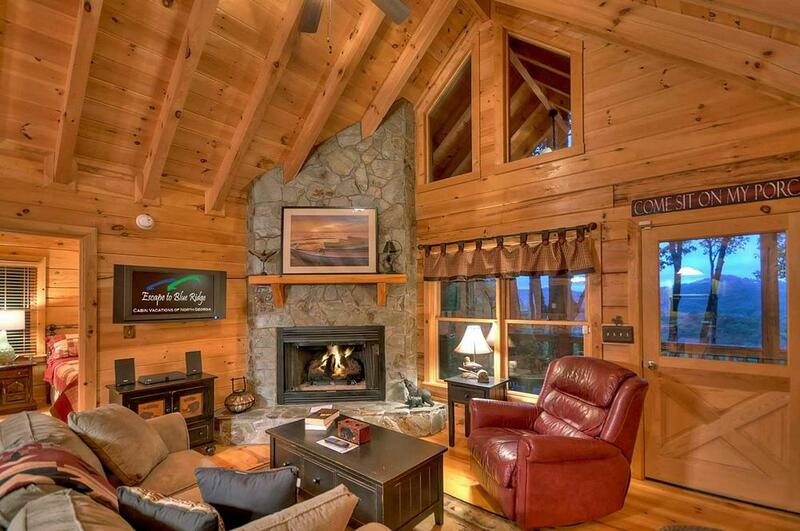 With its stone gas fireplace and comfy furniture, the living room is perfect for relaxing and entertaining. The kitchen is fully stocked with electric appliances, an icemaker and drip coffee maker, and the dining table seats six. 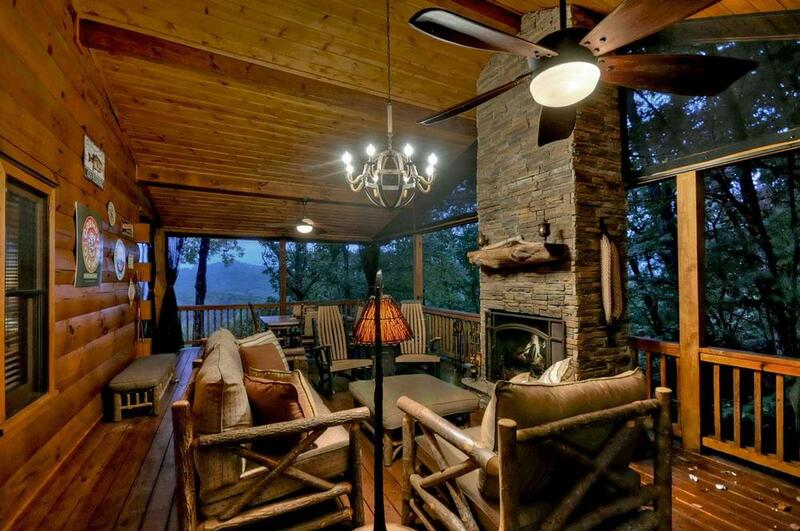 But you'll find yourself spending mountain evenings on the covered porch, taking in the spectacular sunsets as the wood-burning fireplace warms you. 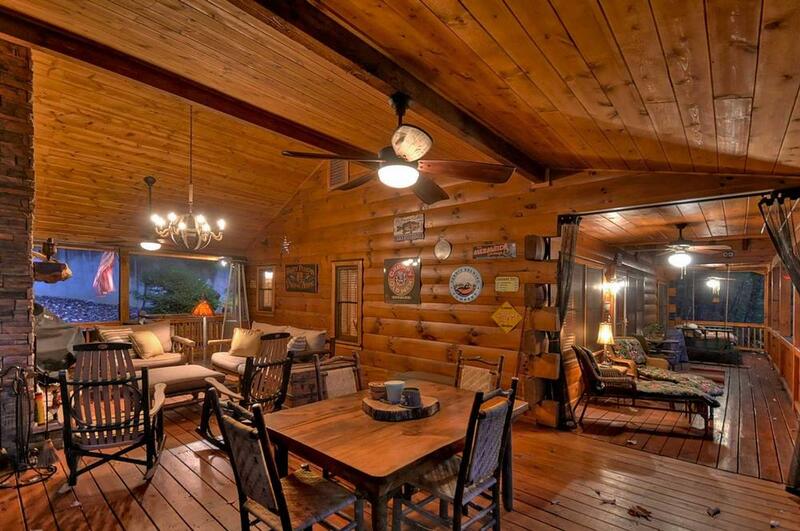 There are both gas and charcoal grills for your barbecuing pleasure, and rocking chairs, lounges and porch swings to curl up in with a drink or a book. A vacation is all about relaxation, comfort and letting your cares melt away, and you'll find that and more at Treehouse Retreat. 03/19 - Enjoyed the view and the porches. Very friendly and professional staff. Will definitely use Escape to Blue Ridge again. 03/19 - Loved the deck and outdoor fireplace, which was one of the major reasons for selecting the cabin. The interior furnishings were pleasant and just enough. I’ve used you several times, each time everyone has been very helpful. 11/18 - Beds, bathrooms, shower, loved outside area but was not able to use due to rain and cold. Very pleased with the company. Am a repeat customer. 10/18 - Private. We've always felt that you were one phone call away and any issue we had would be resolved in a timely manner. That's pretty important. 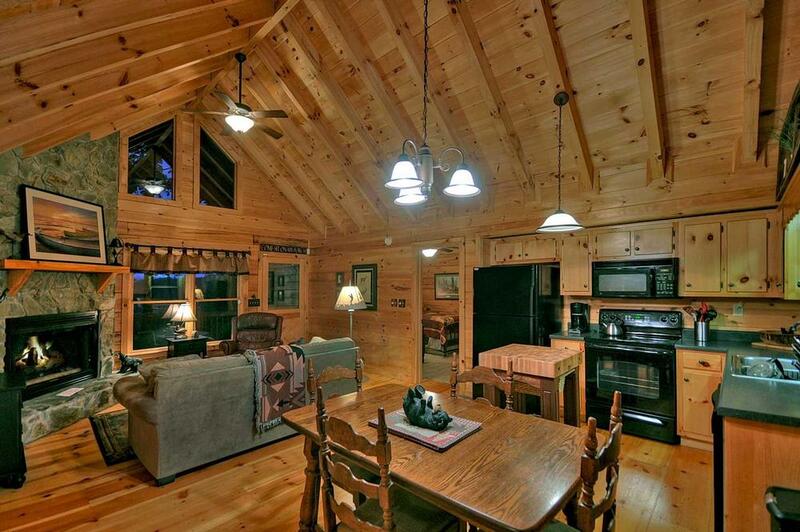 09/18 - This cabin is heavenly, so many amenities and a gorgeous view. 09/18 - Great location; outdoor deck with fireplace and ample seating was very enjoyable. Love your company. Have used it often over the years and will continue to do so. 08/18 - Great views, enjoyed the outside screened area. Your staff seem very professional. Overall we would recommend you. 08/18 - Loved everything, but especially the couch swing looking out over the mountains! Everyone I dealt with was very nice and helpful! 07/18 - The outside space was incredible! 05/18 - Great location, porch was nice, beds comfortable, kitchen nice, overall great. The ladies were very helpful both times I called to ask another question about the restaurants and activities. Thanks! We enjoyed the outdoor deck, outdoor deck seating, and outdoor fireplace. Privacy and quiet top the bill. This place has both. Access to highly maintained hiking trails was also a plus. 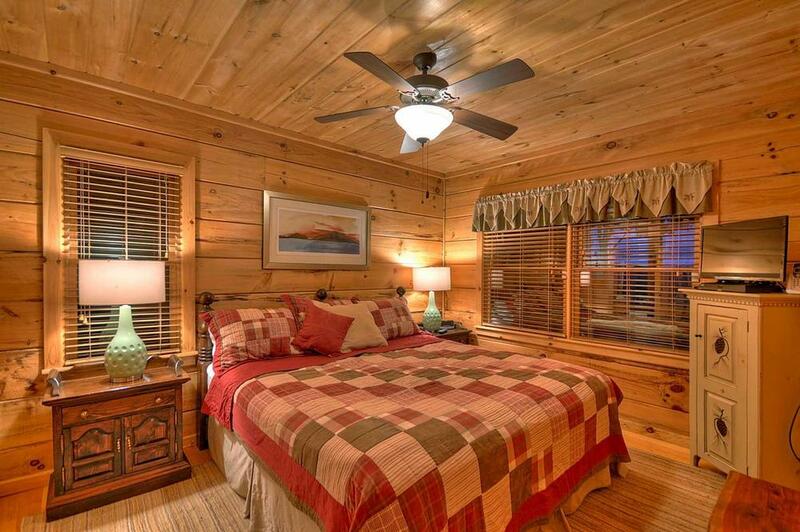 Very comfortable retreat cabin with great view and amenities. Outside fireplace, grills. Hiking trails close by. Everything we needed for our escape. Easy to work with, responsive, and professional. We will us them again in the future. 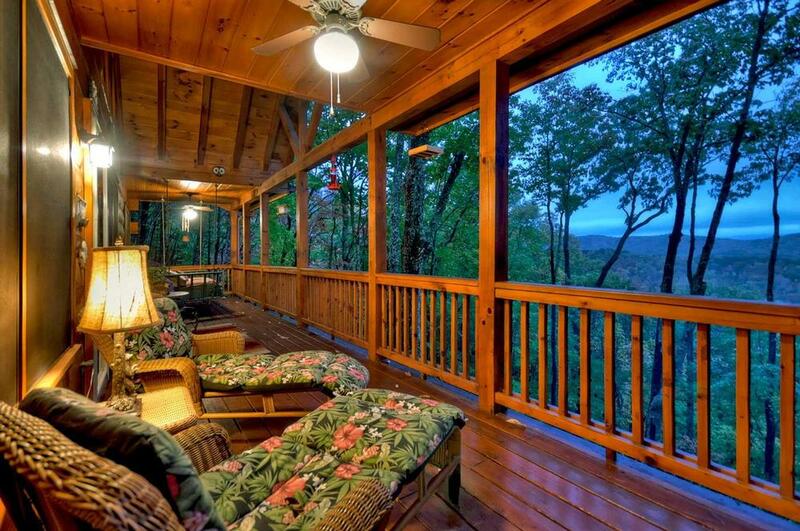 3/18 - Cozy, clean,amazing porches. Everything was perfect! It was very nice to have paper towels and toilet tissue provided. Excellent to work with, very helpful. 3/18 - The outdoor porch area was wonderful. We enjoyed sitting out there both nights with a fire going. Great company to deal with. My second time renting with you. 09/17- Great view - better than we thought it would be, great deck, comfy couch, very private. Nice to have a charcoal and gas grill. The company is very good. We rent once or twice a year and are usually satisfied. 09/17- The view and wraparound porch with the fireplace was our favorite. Ease of reserving and choice of cabins are top notch. We will rent from you again. 08/17- Quiet, great views, close proximity to National Forest for hiking. Great company. Helpful and friendly. We'll be back. 07/17- We enjoyed the coziness and single level accommodations. The outdoor space on the deck was very useful to us and our family's needs. We loved the cabin and its location. 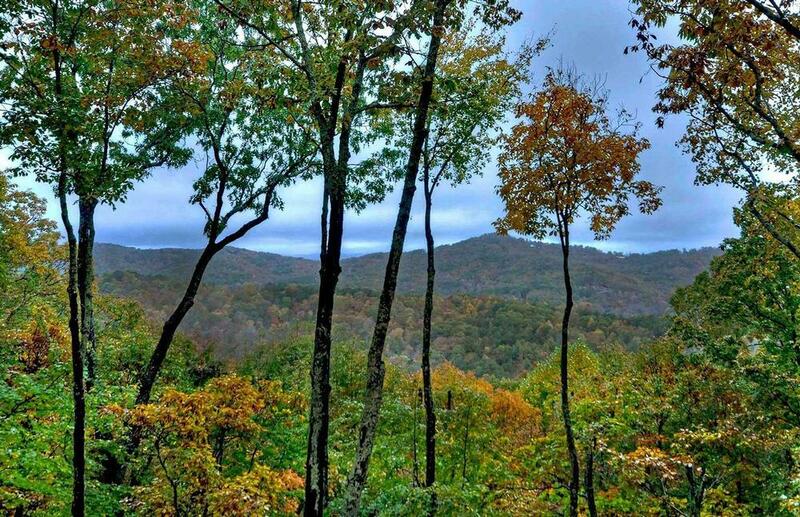 We love returning to Blue Ridge and renting from Escape to Blue Ridge. 07/17- Our cabin was awesome! Really enjoyed the seating area and large gas grill on the side deck. The sunset views were spectacular. Also enjoyed the swinging bed. We were very impressed. The welcome cooler with goodies was a very nice touch! 07/17- Peacefulness, seclusion, quiet, peacefulness (did I say peacefulness). In other words, it's nearly depressing to have to leave. Envision, if you will, on the last day people trying to pull me away from the front door by my legs as others try to release my bear-trap grip on the door knob. I think that image sums it up. We are planning on going to Treehouse Retreat as an annual event. Your company handles the process expertly and orderly. All the instructions are adequately provided. You are there when we need you with just a quick phone call. So far, you have not failed to quickly respond, even when we couldn't figure out how to work the shower. :) My congratulations. We have already told other people about this place. 06/17- Great location; the company always delivers a clean cabin. 05/17- The overall atmosphere... the comfortable cabin, great porch, beautiful view and the clean mountain air. Loved it! It's our first year renting from your company and I'm impressed. The cabins offered are some of the best I've seen in that area and your friendly and professional staff are great to deal with. I have already recommended you to family and friends. 04/17- The home was beautiful, as was the view. I really loved the outdoor hanging bed. We brought our own blankets and enjoyed the view on it often. Excellent and friendly staff. 04/17- The outdoor living area is outstanding! This place is very inviting! We have always had great customer service. I will say Jeff was extremely helpful and his personality is outstanding. He was a pleasure to deal with. Your staff makes you feel very welcomed. 03/17- We loved the king size bed and the gas fireplace. Great cabin, very responsive and kind staff. 02/17- Beautiful view. I think your company has nice cabins and maintains things well. 01/17- The area was very quiet. I appreciated the size (not too big) of the cabin, and the ability to use the hiking trail. It seems like a well-run organization. People have been friendly and courteous. 12/16- The porch is just amazing, we really enjoyed it. 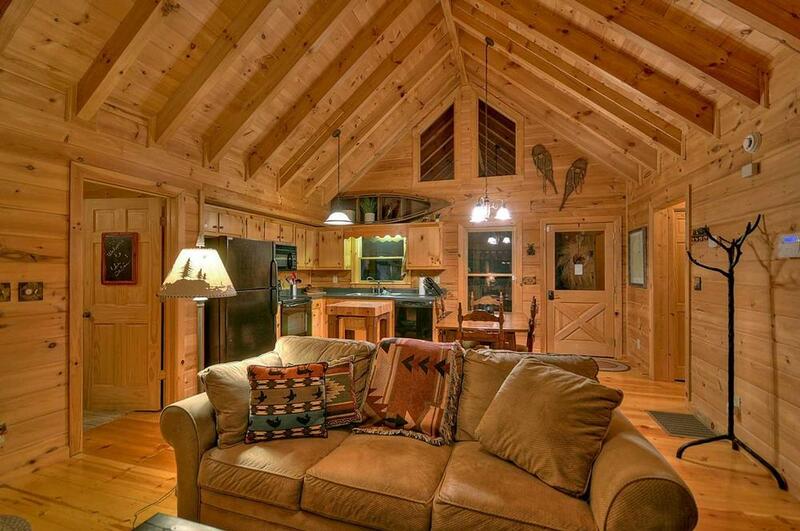 We love everything about the cabin. Mr. Mike was very nice and helpful. I like Escape to Blue Ridge and I will tell everybody about you. 11/16- Our favorite features of the cabin were the covered fireplace on the deck and the great view. Excellent company, very helpful, great attention to detail. 10/16- Great size for the 2 of us; loved the outdoor living space and decks; the layout of the cabin was great; very comfortable and we felt very at home. 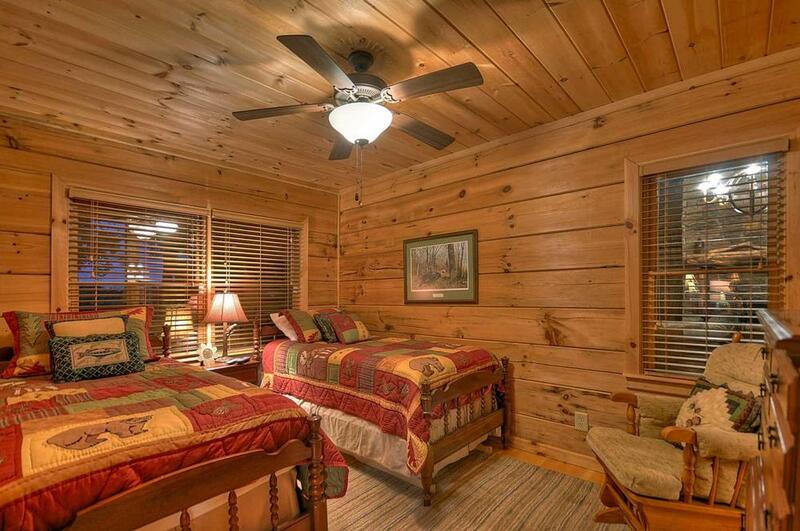 We have always been well taken care of from reserving the cabin to arrival and checkout. Questions before or during our stay are always answered promptly and the staff have been very helpful. We love the huge selection of cabins to choose from and will continue to rent from you in the future. 10/16- While the cabin was small it was designed & decorated to feel much bigger. The outdoor living space was phenomenal. The fully stocked kitchen made cooking a joy. Special touches with high end soaps & shampoos added a spa touch. Everything was great! We were very very impressed and would recommend your company (and have already) to others. 09/16- We have stayed at this cabin twice this year. 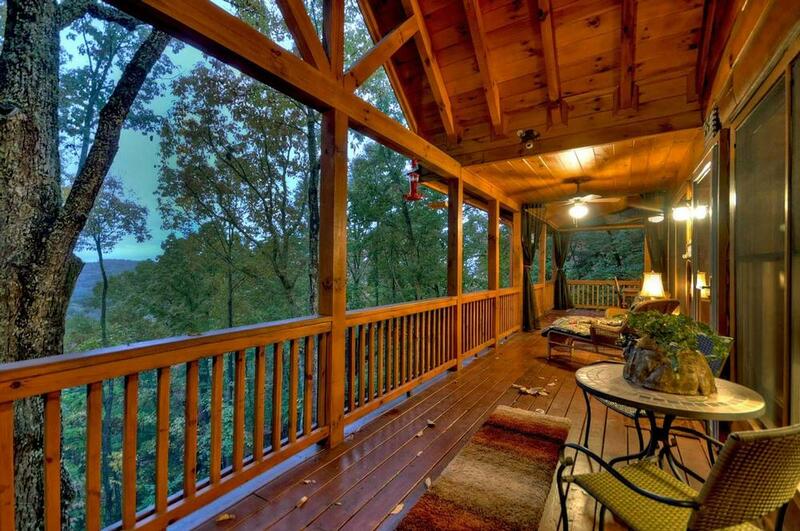 We especially love the view, great sunsets and the fireplace on the porch. We never used the table inside as we ate all meals outside on the porch. Love that you can hike right from the front door too. I rent often from Escape to Blue Ridge. The staff is friendly and very helpful. Information is sent out promptly. I highly recommend escaping with this company. 11/16- Our favorite feature of the home was the decks. 08/16- The view was excellent. The overall layout and functionality of the home was good. The furnishings, including kitchen supplies, were very good. The company did a very good job of meeting our needs. The staff we dealt with was responsive and professional. 07/16- We loved the outdoor living spaces....the daybed porch swing was a favorite. We enjoyed dinner each night outside. This is our third time renting with you and each time has been very positive. The staff is friendly and helpful. 07/16- Quite and reasonably remote. Plenty of space. The bed was perfect. The "couch swing" was a huge hit. We will very likely return. 07/16- The cabin is beautiful and very well maintained. Our favorite spot was the wrap around porch because of the large bed swing, comfy couches, fabulous fireplace and view. The bed, pillows and linens in the master bedroom were first class. The reservation process was so easy and friendly. The cleaning staff did a terrific job as well. The website provided so many cabins with very detailed and accurate information and pictures. Really appreciate the 3 ring binder with all the info and enjoyed reading the journal entries of other vacationers. Two suggestions: alphabetize the availability page and give an accurate description of the road that approaches the cabin i.e. one lane, very narrow, steep etc. so we are prepared! 06/16- What I really enjoyed the most about this cabin was the scenery. The view from the cabin was so beautiful. I had no complaints of the cabin at all. Everything was perfect. Not to mention I got engaged on our lovely Blue Ridge trip. So we will definitely be back. Very memorable! When I did ask a question they jumped right away and got me the information I needed. Very friendly! 04/16- View and the outdoor space deck space was fantastic! Very private. 04/16- Outdoor entertaining area, view and master on main. Love the floor plan of this home. Perfect for a couple. 04/16- Design (exterior and interior) as well as funrishings...plus, the view. 03/16- The outdoor space was certainly the highlight. However, the indoors is very nicely decorated and comfy as well. We loved our stay! 03/16- The home was just the perfect size for us, we love the outdoor living area, the swing , it\'s nice to wake up and look at the mountain view from the bedrooms. The cabin made us feel so warm and comfortable. The area is so peaceful, great place to relax! We also love the goodies!!! 02/16- The outdoor living space was fantastic was the greatest! You offer great places to stay. 01/16- Kitchen was very well equipped. The view - lovely! Furnishings were very comfortable and decor most pleasing. Location will be fantastic for the warmer months with it's proximity to the Aska Adventure Area! VERY impressed. We have rented from other companies over the years in Blue Ridge for less money and really wanted to find what ETBR offered to justify the higher fees. Cabin was far cleaner and nicer than any other we have stayed in. The laundered linens for towels and sheets a really nice touch. Arriving to the cabin with the heat up, and lights on was the first for us! 01/16- Our favorite part was the outside deck. Loved the beautiful outside fireplace, the swinging bed, and all of the outside furniture. This was the best deck ever! The house was perfect for the two of us and our 2 dogs. Loved loved the gated deck for them. 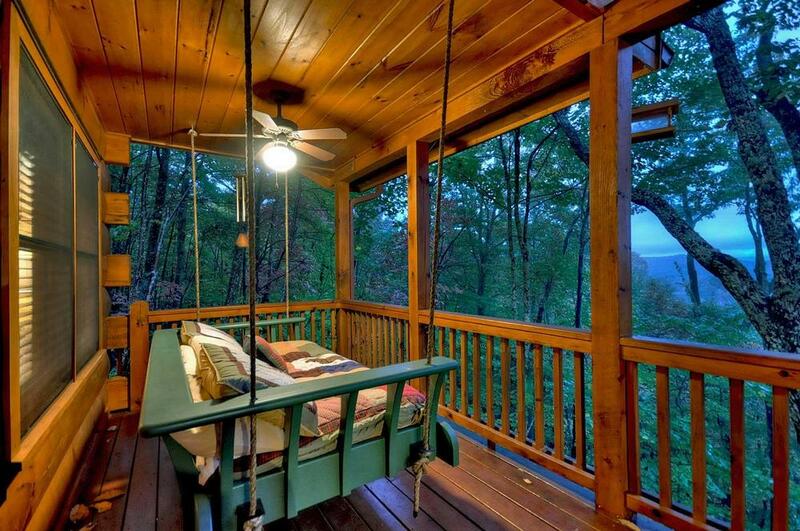 12/15- View was perfect, amazing terrace, decor, mountain decor, well equipped, tranquility, amazing porch swing. EBR was friendly and professional. Very efficient and easy to do business with. 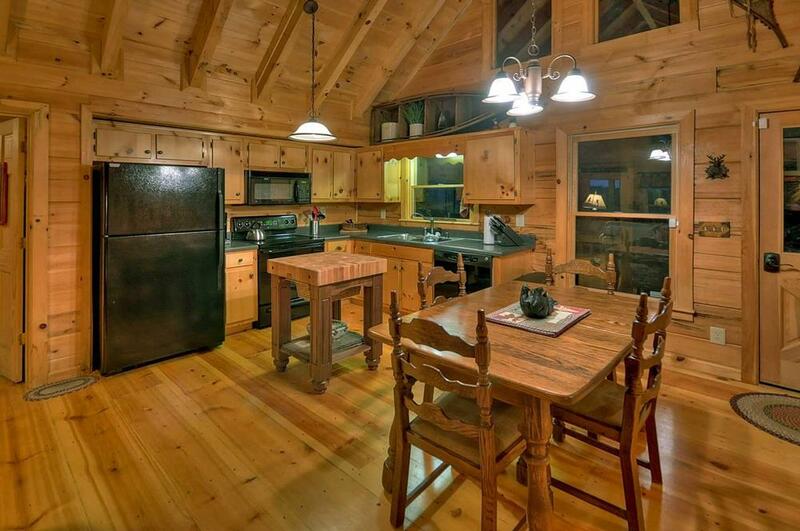 12/15- This cabin is perfect for a relaxing get-away. The outdoor deck with swinging couch, fireplace and heater was the highlight. The kitchen is well-stocked for cooking and the bedrooms are comfortable with great linens. A wonderful vacation experience. Escape to Blue Ridge was fantastic in their communication and information provided to us about the rental. 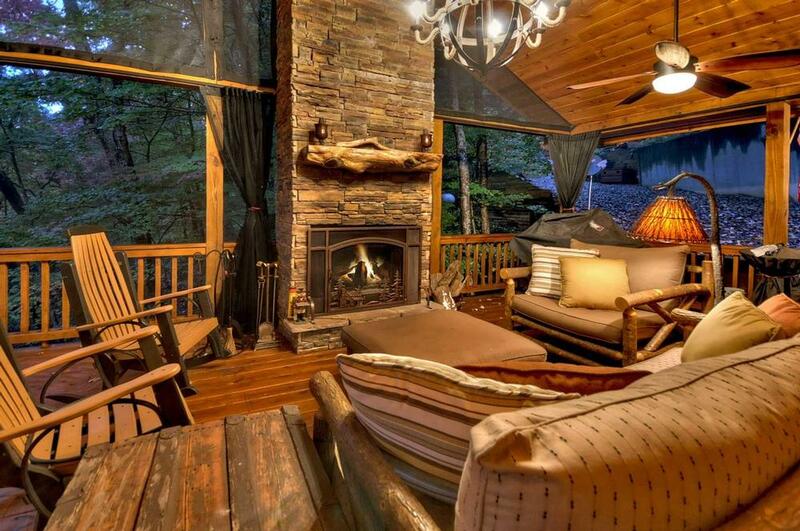 11/15- The outdoor fireplace and enclosure were the best feature of this cabin. We spent most of our time enjoying this space. The view was also quite fantastic. Company is very thorough. Communication was excellent, and would definitely use and recommend your company again. 11/15- Wonderful outdoor fireplace. Secluded. Great company. Have stayed at number of cabins. Recommended to neighbor (Andrew Johnson) who booked a cabin next month. We'll be back!! !